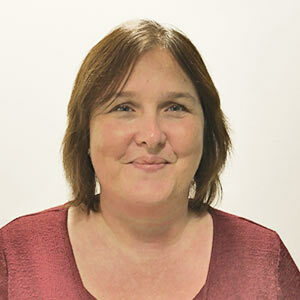 Day 2 Johannesburg: On arrival transfer to your hotel. 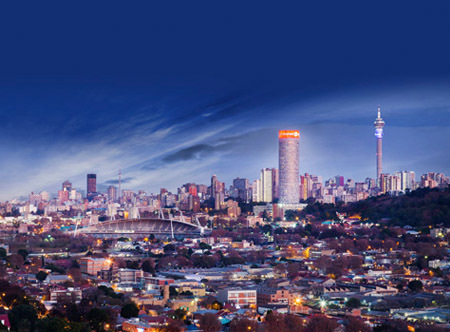 Day 3 Johannesburg/Pretoria/Hazyview: Early morning departure for South Africa’s capital city, Pretoria (Tshwane) where on arrival you’ll enjoy a short tour. The journey continues to the lush subtropical region of the Lowveld towards Mpumalanga via the historic towns of Witbank, Dullstroom and Lydenburg. Travel over the Long Tom Pass onto the small town of Sabie before arriving in Hazyview late afternoon. Day 4 Panorama Route: This morning’s journey gives you a boundless view of forested mountains and fertile plains. Explore Bourke’s Luck Potholes then continue to Tufa Falls and the famous Three Rondavels. Day 5 Kruger National Park: Set off before breakfast in open safari vehicles fin search of wildlife, particularly the Big Five - lion, elephant, buffalo, rhino and leopard, along with all manner of birds and plant species. The afternoon is at leisure. 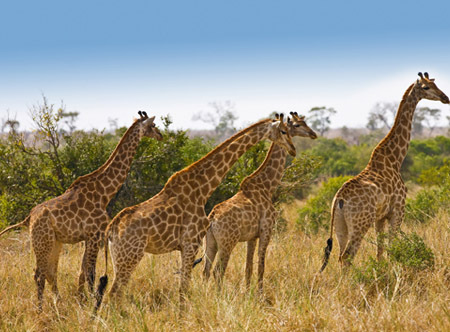 Day 6 Hazyview/Swaziland: Enjoy an enchanting drive to the tiny Kingdom of Swaziland, a former British Protection Territory. 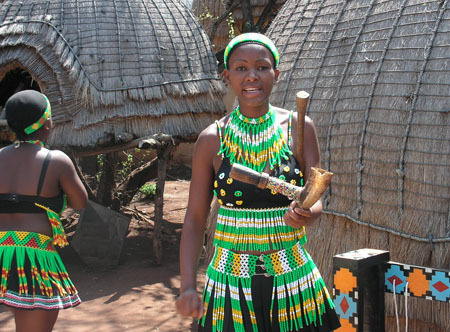 Witness a Swazi cultural experience which will introduce you to the charming people of Swaziland and their traditions. Continue through the capital city, Mbabane, known for its vibrant markets packed with woven baskets, beadwork and carvings before reaching your hotel within the Ezulwini Valley. Day 7 Swaziland/Zululand: Start the day with a true African shopping experience at the lively Ezulwini Craft Market before continuing into Zululand, passing traditional round huts and endless vistas. Arrive mid-afternoon in the Hluhluwe-iMfolozi game reserve, which is particularly famous for its conservation of black and white rhino. Day 8 Zululand/Durban: Begin with a cruise on Lake St Lucia before departing for Durban, a journey which takes you along the KwaZulu Natal coastline passing sugar cane fields. On arrival the afternoon is at leisure to either relax on the golden beach or perhaps take a stroll on the bustling promenade. Day 9 Durban/Port Elizabeth/Knysna: Early flight to Port Elizabeth and onward drive through the Tsitsikamma section of the Garden Route National Park. Here you are treated to magnificent coastal views and the chance to soak up the beauty of the glorious, in tsikamma Forest. Arrive Knysna late afternoon. 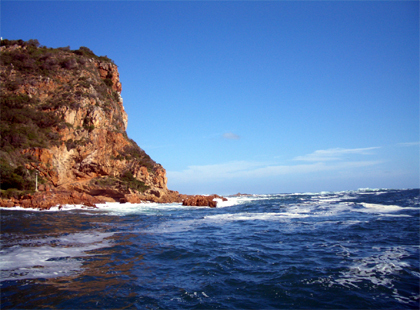 Day 10 Knysna: Cruise on the vast Knysna Lagoon and visit the Featherbed Nature Reserve. Take in the amazing view of the imposing ‘Heads’ which guard the sea entrance to Knysna’s huge tidal lagoon, and the forests, marshes and pristine beaches beyond. After lunch, the rest of the day is at leisure to explore this lovely town. Day 11 Knysna/Oudtshoorn: Take in wonderful views of the spectacular Outeniqua Pass en route to Oudtshoorn, known as the ‘feather capital of the world’ due to its many ostrich farms. After lunch, visit a farm to learn more about these hardy, enigmatic creatures before heading underground for a tour of the incredible Cango Caves. 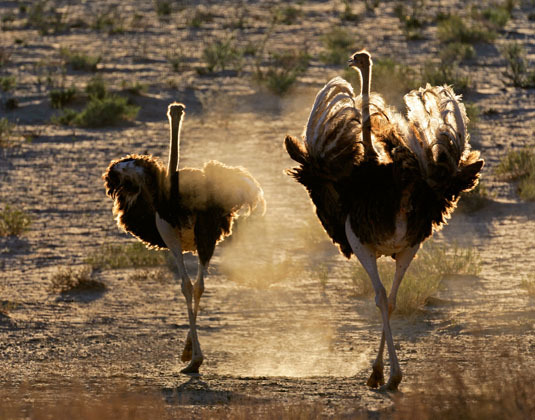 Day 12 Oudtshoorn/Montagu/Cape Town: Early this morning you have the option of taking a Meerkat Safari (additional expense). After breakfast, journey through the Little Karoo to Barrydale before travelling to the historic picturesque spa town of Montagu. Continue to Cape Town. 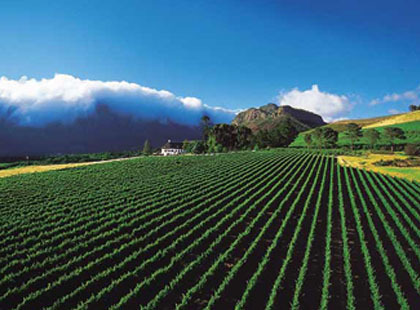 Alternatively, why not extend your tour with an overnight stay in the Winelands before continuing to Cape Town? Day 13 Cape Town: A full day at leisure. 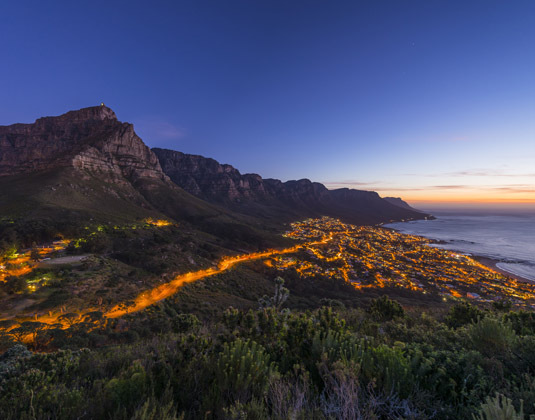 Perhaps join a tour to Table Mountain (additional expense) or simply explore the city, which is packed with attractions, craft markets and excellent bars and restaurants. 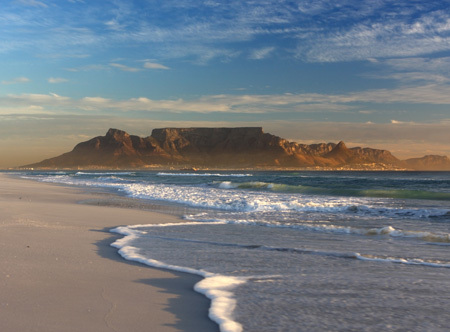 Day 14 Cape Peninsula: A day to tour the ruggedly beautiful Cape Peninsula, which winds its way through some of the world’s most spectacular coastal scenery. Stop at the fishing village of Hout Bay for an optional cruise (additional expense) to Seal Island to watch these natural performers. 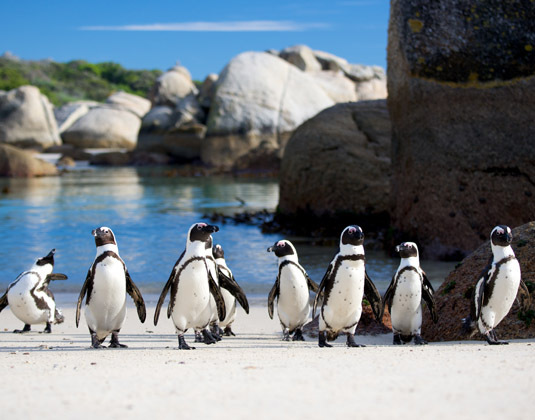 Continue to the Cape Point Nature Reserve, before stopping at Boulders Beach for close encounters with penguins. Drive through quaint Simon’s Town en route back to Cape Town. 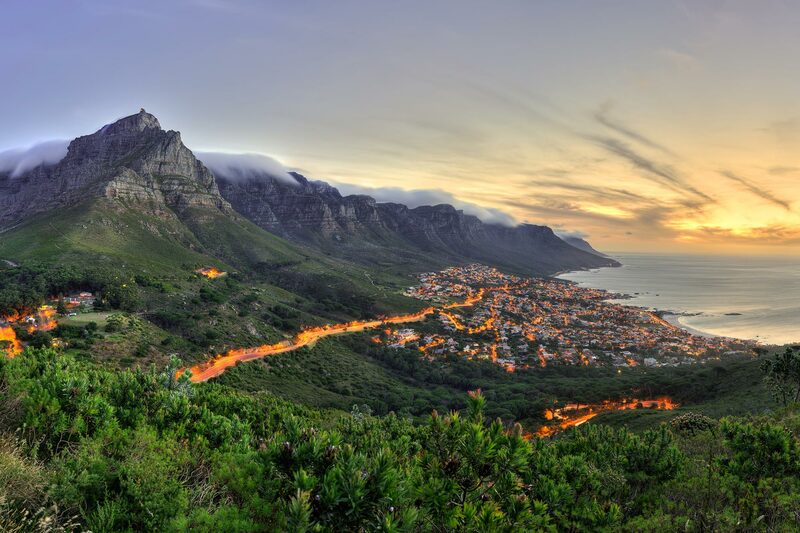 Day 15 Cape Town: Your tour concludes with a transfer to the airport for your onward journey. Meals: Breakfast. Lunch included on days 6, 10 and 11. Dinner included on days 6, 9 and 13. Tour price: The price shown for this escorted coach tour is based on the best value travel dates in low season and includes international flights, onward domestic flights, transfers between your hotels, 13 nights accommodation and sightseeing as stated.